One of the most interesting parts of my job is seeing the repairs done to these locks years ago. This lock is about 100 years old so there has been plenty of time for different repairs. This one’s cracked in multiple places. I suspect this was because somebody ran a screw through the body of the mortise lock trying to screw something to the door. It is fairly logical when a screw comes out of your door to replace it with a bigger, longer screw but that larger screw will cause materials to crack. Especially inflexible materials like iron. 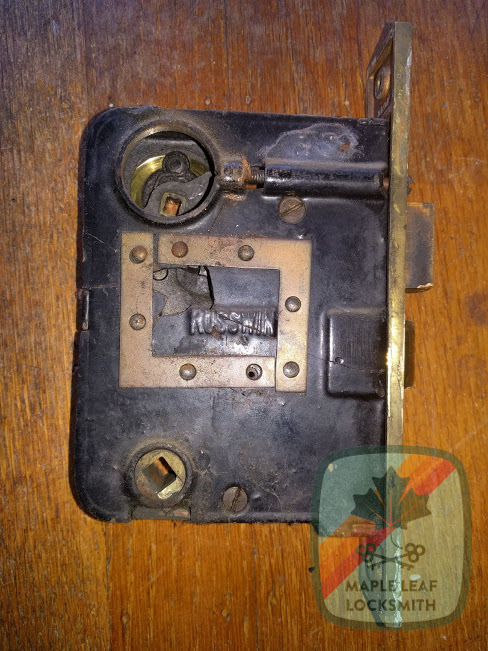 Somebody peened lots of little rivets onto this mortise lock body after they cracked it. This looks more like a candidate for welding to me but some person in the past repaired this manually with several strips of metal and little rivets. This worked for at least 40 years because my client only called me in 2018 after he couldn’t open his door due to the bolt breaking while extended. The bolt breaking seems to me to be unrelated to the case being cracked. 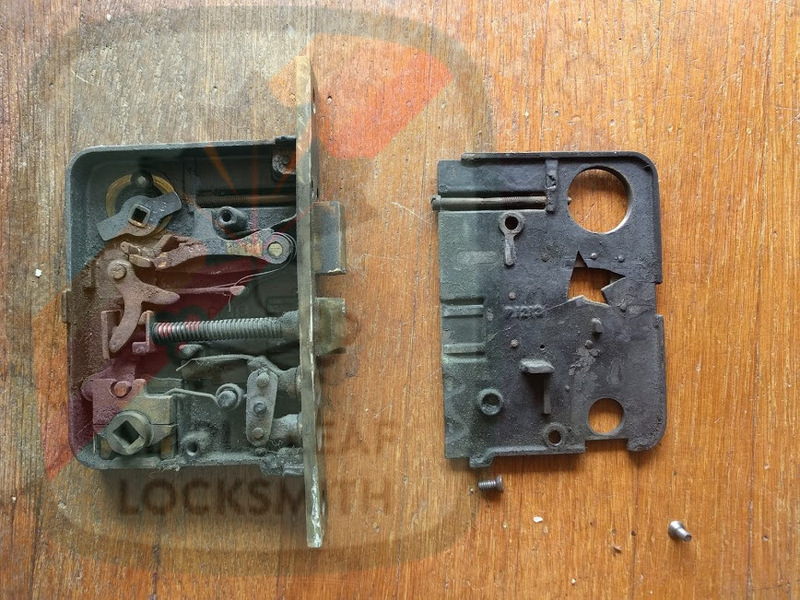 The solution in this case was to manually retract the bolt and discontinue its use as the customer already had a deadbolt installed above the old mortise lock. Previous Previous post: Locksmith Scams: be smart, don’t be a victim!